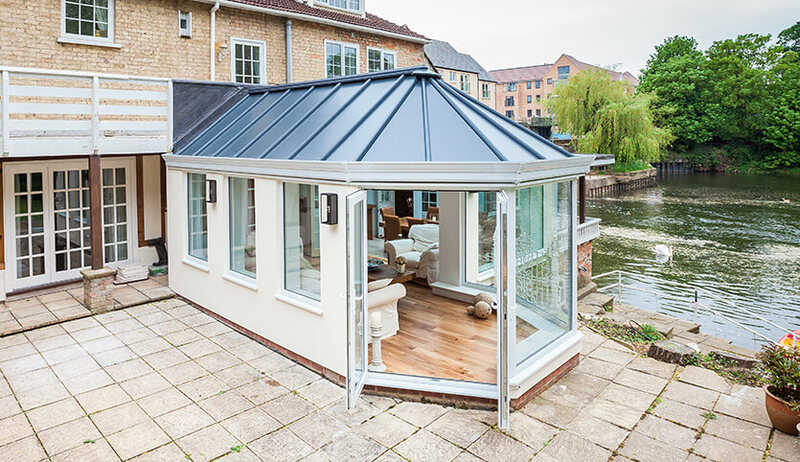 The LivinROOF is a versatile and high performing roof system that combines the best of glazed and solid roofs. It is extremely flexible and can be designed to fit any shape or roofing style. The roof can be pitched as low as five degrees, making it suitable for installation in bungalows and dormer style properties. Glazing panels can be incorporated into the design at any point so that natural light intake is maximised and the finished aesthetic in unique to your home. The LivinROOF system is constructed using composite external panels and Kingspan slab insulation. This creates a strong and robust roof which provides excellent levels of thermal insulation. Inside, a vaulted ceiling is enclosed by an internal perimeter pelmet. Downlights can be installed into the plastered perimeter ceiling or even integrated speakers. Lights can also be mounted along the ceiling ridge depending on your preference. If you’d prefer to continue the ceiling height from your home’s existing structure, a suspended ceiling can be installed into the roof space of your LivinROOF. The exterior panels are finished in a contemporary urban grey which is understated and will complement any home’s design. 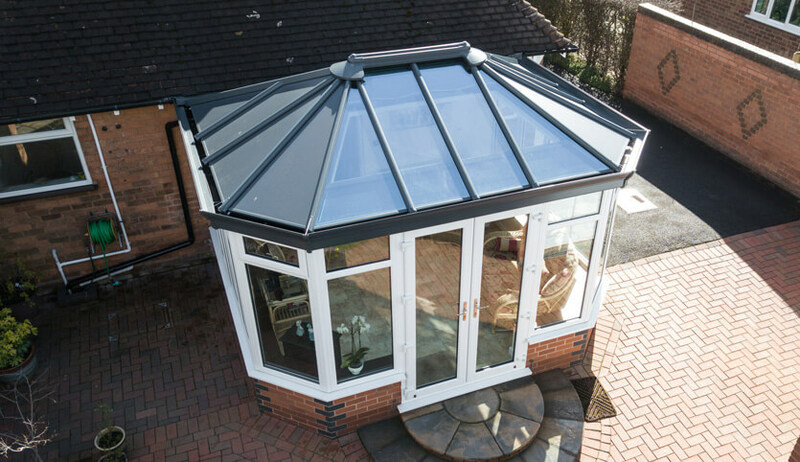 The LivinROOF can be installed in any style of glazed extension. 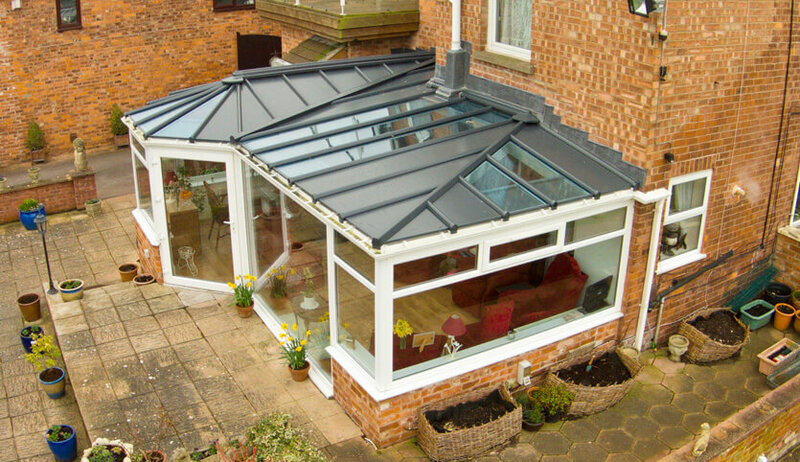 It can be used as a high performing roof replacement or as part of a new build conservatory. 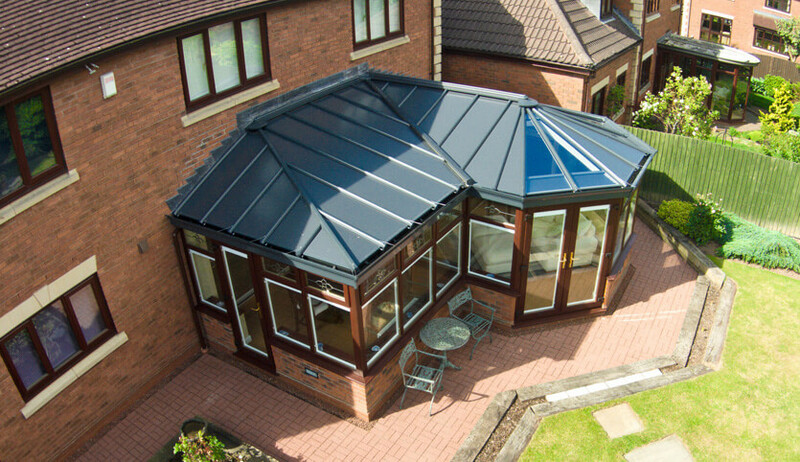 Compared to many other conservatory roofs, the LivinROOF is extremely quick and easy to install. It is prefabricated off site to minimise on site cutting, thus reducing waste and limiting disruption. 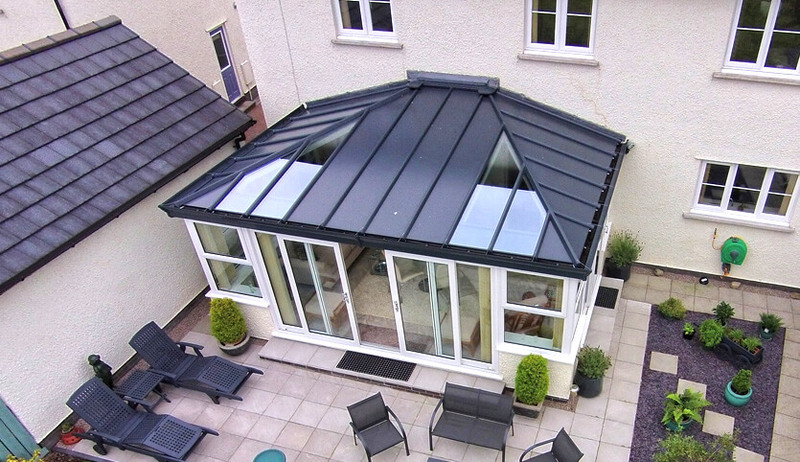 Because each LivinROOF is bespoke designed to your exact specifications, all sizes and configuration requirements will have been detailed in a pre-installation survey. This allows the installation to run as smoothly as possible with limited disruption to your home environment. Customise your LivinROOF with a wide range of finishes, you can also finish the roof in any RAL colour.